The Diablo III franchise has sold over 20 million copies worldwide, including sales across all platforms for the base Diablo III and the Reaper of Souls expansion. As detailed in the recent Blizzard Activision Q2 2014 earnings report, the expansion pack continues to be the best-selling PC game to date in 2014. The earnings report conference call provided the latest news from across Blizzard's games, with quotes from Blizzard CEO Mike Morhaime. 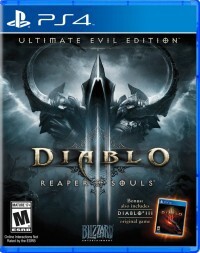 A new sales record was announced, with Diablo III and the Reaper of Souls expansion having sold over 20 million copies, as of June 30, 2014. This will no doubt jump higher in Q3, after the Ultimate Evil Edition is released for four consoles. The PC Reaper of Souls expansion sold strong throughout the second quarter, and is the best-selling PC game to date for 2014. Morhaime: We're pleased to show that the game has reached more than 20 million in unit sales, including digital. 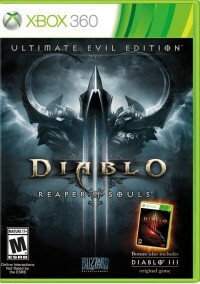 This figure includes the base Diablo III game on PC and console, and the Reaper of Souls PC expansion pack. We're looking forward to delivering the expansion content to players on next and current-gen consoles with the release of the Diablo III Ultimate Evil Edition, which we expect to ship on August 19. In addition to the Reaper of Souls content, the Ultimate Evil Edition includes all of the updates that we made to the core Diablo III experience on PC, as well as some console-exclusive features that make it even easier and more rewarding for friends to play together. And lastly, we just announced plans with NetEase to bring Diablo III to Mainland China. The subscription numbers for World of Warcraft dropped again, down to 6.8 million subscribers. That is at drop of 800,000 from the 7.6 million subscribers the game had at the end of Q1 2014. Despite the subscriber drop, the overall revenue for the MMORPG was higher than ever. The revenue was buoyed by pre-sales of more than 1.5 million copies for the Warlords of Draenor expansion, and character level boost services. Morhaime: The franchise remains healthy with revenues up year-over-year. This is due in part to ongoing interest in Warlords of Draenor presales, which now exceed 1.5 million, and the character boost, which suggests strong support for the expansion by the community. As we mentioned on the previous call, we anticipated fluctuation in subscribership due to seasonality and the fact that the current game content is at the end of its life cycle. And as expected, we did see a decline in subscribers, which mostly came out of the East. This pattern is right in line, percentage-wise, with the drops that we saw at Cataclysm's cycle in Q2 2012. That drop in 2012 was followed by an uptick in subscribers just ahead of Mists of Pandaria's launch. So we're hoping to see players return once we draw closer to the release of Warlords of Draenor later this year. Colin A. Sebastian (Robert W. Baird & Co. Incorporated, Research Division): On Warlords of Draenor, should we assume the uptick in users around that release will be weighted towards the western markets, and thus, be more favorable in terms monetization or would it be more balanced between East and west? Morhaime: We would expect World of Warcraft subscribership to bounce back, both in the East and the West. I don't have a prediction on the ratio of that but it's important to note that when you look at the prepurchase of Warlords, that 1.5 million is all in the West. I think, it's also important to note that if you look at the overall sort of health and size of Blizzard's Battle.net community, we're up 40% year-over-year just looking at monthly actives at the end of Q2. So we have a healthy community. The community is ready for new content, and so far into the beta of Warlords, the feedback has been very positive. Hearthstone had its biggest week ever, for both engagement and revenue, after the release of the Curse of Naxxramas content. The release of Hearthstone on the iPad brought millions of new game players to Battle.net, who hadn't played Blizzard's games before. This bodes well for future growth, when the game is released on the iPhone and Android devices. 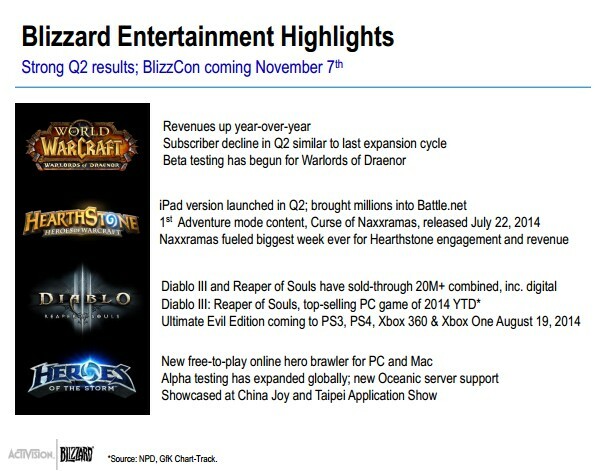 Morhaime: Q2 was also a big quarter for Hearthstone with the iPad version of the game launching in April. That version has been popular, bringing millions of new players into the Battle.net ecosystem, and building on momentum from Q1's PC launch. Hearthstone has also been growing in popularity on the e-sports side, with a number of big tournament events taking place around the globe. We also announced our year-long Hearthstone competition, which will collect competitors from around the world to compete at a yearend tournament at BlizzCon for a $250,000 prize pool. A few weeks ago, we launched Curse of Naxxramas, our first adventure mode content for Hearthstone, and it's now available around the world on Windows, Mac and iPad. The content is split into 5 parts released over 5-week period, and it includes single player challenges, as well as cards that players can use in head-to-head competition. Players can purchase the weekly content à la carte for in-game gold or real money or as a bundle for real money. The community has responded with enthusiasm to Curse of Naxxramas, fueling Hearthstone's biggest week ever in terms of both engagement and revenue. We're pleased with the results and we look forward to continuing our support for Hearthstone going forward. Neil A. Doshi (CRT Capital Group LLC, Research Division): On the Hearthstone game itself, I think in the past, you guys have said that it was on track to exceed $100 million in revenue. As you launched the iPad and then consider that the broader market with iPhone and Android yet to come, how should we think about that overall number? Morhaime: Hearthstone has been exceeding all of our expectations. We're not ready to provide a new specific number but we're very excited about the long-term prospects, especially when you consider further platform expansion to smartphones and a strong multiyear content pipeline that we have planned. The alpha testing of Heroes of the Storm continues, with new patches arriving regularly from the developers. Morhaime: Alpha testing for Heroes of the Storm continued in Q2 and was expanded to include players from other regions around the world. We're incredibly excited about the prospects for Heroes of the Storm. Michael J. Olson (Piper Jaffray Companies, Research Division): Turning out to be a big year for Blizzard, and I was just wondering if you could talk about the potential for Heroes of the Storm, and any indication of a more specific timing, and just in general, how we should think about how big of a title this could be? Morhaime: So it's still too early to make any kind of projections in terms of the size of the opportunity. We think we have a very strong game and we know that the genre is very large and continues to grow. We think that our spin on the genre is unique and combined with Blizzard's recognizable characters, our design philosophy, which is really trying to create a very approachable team-based game, kind of sets us a little bit apart from some of the competition. We're encouraged by the fact that millions have signed up to test the game and we'll have additional information about timing later in the year. 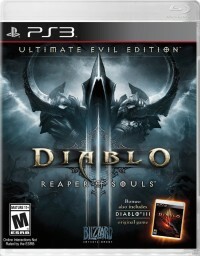 Diablo III set new sales records and increased engagement throughout the first half of the year. 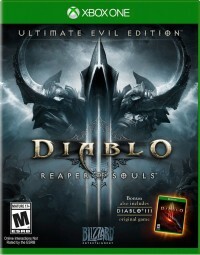 The second half of 2014 will bring even more growth in Diablo III, with the release of the console Ultimate Evil Edition, and the news from BlizzCon in November.